Mitchell A offers a discount of 25% on their first / introductory lesson! 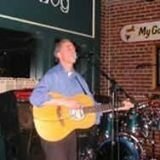 Professional vocalist, guitarist and mandolin musician of 39 years playing and 46 years singing experience available to teach guitar, mandolin or to provide voice lessons to 1 to 1 or in groups of 2 or 3. If you are a beginner I can help. If you already have musical experience, I can guide and improve your playing to the level you want. Please bring your own songs to learn on your instrument or to sing and we will work on them or we can find songs which fit your style and suit your playing levels. I have plenty of resources to help! Professional certified 24-year music instructor with 39 years playing and singing experience available to teach guitar, mandolin or give voice lessons. I play in bands both in Belfast and Dublin which make your lessons top drawer. Students grow in confidence and motivation with their music when their instructor is out playing themselves. No matter your age or experience, the only thing that counts is the musical desire to play an instrument or sing. The lessons provide both practical and theory knowledge of music. You choose how much you want of each. If you are new to playing an instrument or singing, I can help you to design your goals. If you already have experience, I can help to guide and improve your playing or singing to the level you want. Feel free bring your own songs that you want to learn and we'll work on them. I provide all the song sheets, musical notation and books at no extra charge! It's simply £15 per each hour lesson. There is a 15 to 28% discount if you buy a block of 4 or 10, just ask. A Christmas or holiday voucher is also available for your loved one. Each lesson is tailored to yourself, your family member or your group. I train both on the evenings and on the weekends. Ring up and ask any questions about the your lessons or how I can help. No more insecurity, no more doubt, start today with a proven teacher of over 39 years of music quality. Mick has been absolutely fantastic . He came back very quickly , was very concise about his offering and charges . My husband has started hi class and is thoroughly enjoying it , A superb experience for him ! Can see are daughter improving with each lesson. Look for our lessons on Matchetts Music in Belfast under Mixed Instruments. Very hands on and geared to student abilities. I have both Theory and Practical experience and can tailor them to your needs. Each lesson is provided for you to improve what you enjoy doing. The tutor's home is a comfortable spot and teas and coffees served during the lesson with enjoyment. Mitchell AFrom Brian (5/5): Mitchell is a very knowledgeable tutor. Everything is explained clearly & precisely in a relaxed atmosphere. Reply from: Mitchell A: Many thanks Brian and its a pleasure working with you. Mitchell AFrom Conor (5/5): Look forward to are lesson every week , 5star thank you Mick. Reply from: Mitchell A: Many thanks Conor, very kind of you to say this. See you next week. Mitchell AFrom Trevor (5/5): I am very happy with the tuition provided by Mitchell. He is an excellent teacher, very knowledgeable, patient, and works at a pace suitable for me a beginner. I would recommend him. Reply from: Mitchell A: Many, many thanks for this Trevor it is a pleasure working with you. Mitchell AFrom Corin (5/5): I have been very impressed with Mick's teaching methods and style. From the beginning, we discussed my goals and objectives from the lessons and he has always worked towards these. He was clear upfront about the likely time frame it would take to achieve and I have been very pleased with my progress under his tutelage. Technically, he has taught me things that I was unaware of and, by having greater awareness, I am now able to be much more consistent. Mick is very friendly and easy-going but is still honest enough to correct you where he sees the need. I would highly recommend anybody thinking about getting lessons to use Mick. Reply from: Mitchell A: Thanking you so much Corin for that recommendation. It has been a pleasure working with you all these weeks and the progress has been amasing. See you next week for the lesson. Mitchell AFrom Louise (5/5): Can see are daughter improving with each lesson. Mitchell AFrom Yvonne (5/5): Fantastic tutor, very patient with my daughter who has never played guitar before, I would definitely recommend. Mitchell AFrom Diane (5/5): Mich has been absolutely fantastic . He came back very quickly , was very concise about his offering and charges . My husband has started hi class and is thoroughly enjoying it , A superb experience for him !